Thu., July 6, 2017, 4:31 p.m.
JACKSON, Miss. – The University of Mississippi will post a sign acknowledging that slaves built some structures on the main campus founded before the Civil War. The university made the announcement Thursday, also saying Ole Miss will strip the name of James K. Vardaman off a building. Vardaman, a white supremacist, was Mississippi’s governor from 1904 to 1908 and a U.S. senator from 1913 to 1919. University leaders have said they’re trying to make a diverse student body feel more welcome. “As an educational institution, it is imperative we foster a learning environment and fulfill our mission by pursuing knowledge and understanding,” Chancellor Jeffrey Vitter said in a news release. The move to add historical context to some places and to rename others at Ole Miss comes amid debate in many parts of the U.S. about how to deal with the public display of symbols and monuments tied to slavery and the Confederacy. New Orleans is among the places that have recently removed Confederate monuments. Harvard University this year acknowledged its ties to colonial-era slavery, and Yale University rebranded a residential college that had been named for a 19th-century U.S. vice president who supported slavery. All eight of Mississippi’s public universities have stopped flying the state flag because it includes the Confederate battle emblem – a red field topped by a blue tilted cross dotted by 13 white stars. Adopted in 1894 and reconfirmed by voters in 2001, it is the last state flag in the nation with the emblem that critics see as racist. A sign will note that four projects on the Ole Miss campus were built with slave labor. One is a cut through some hills to make a route for railroad tracks. The other three are buildings – the white-columned Lyceum, completed in 1848, the same year the university opened; an astrological observatory that was finished in 1859 and now houses the Center for the Study of Southern Culture; and a Georgian-style brick building dating to 1853, now home to international studies. 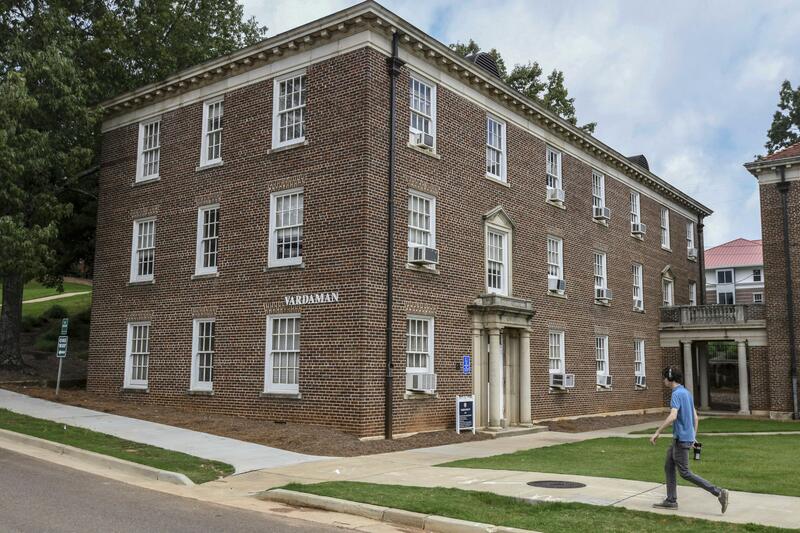 A campus committee recommended adding historical context for some campus buildings or monuments, and removing Vardaman’s name from a building that used to be a dormitory but is under renovation to house offices. A new name for Vardaman Hall has not been chosen. Published: July 6, 2017, 4:31 p.m.